As I am not a photographer idk how this is done - superimposition? Whatever the technique, it is very imaginative and kind of captures the image passing thru the mind's eye! Splendid. Julie, this is an astounding photo. Into faves it shall go! "His" head seems large for his body. It is a great effect though. 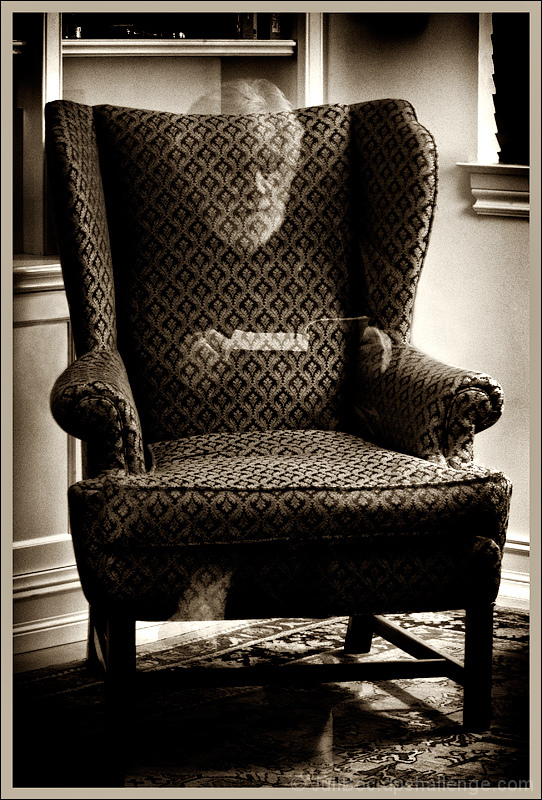 Out of all the "ghostly" pics, this one is well done in that it creeps me out the best. I think the exposure is just right in giving it that look of a ghost. I also think the model was a great choice, along with the chair and the book prop. I also like the grain and B&W treatment. WOW. Great tones and look. Proudly hosted by Sargasso Networks. Current Server Time: 04/20/2019 02:48:05 PM EDT.